Bespoke Logistics Ltd. was established in 2001 for the very reason the name would suggest, to offer a supply chain solution tailored to meet your specific requirements. Our Client orientated philosophy runs through every part of our organisation with our experienced and dedicated team ensuring that your goods could not be in safer hands. Bespoke is involved in every part of the supply chain but focuses particularly on those areas where it can add maximum value. This revolves largely around specialist picking and packing, including both fine picking or bulk pallets plus re-packing and labelling. We are also more visible with the key European markets, most notably Italy, which ensures optimum performance for import or export consignments. 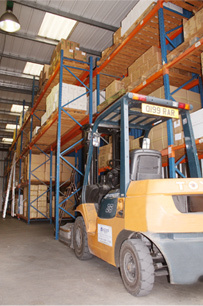 Bespoke Logistics are a member of both BIFA and UKWA and trade under the standard trading terms of each organisation. 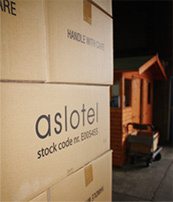 Dedicated packaging is essential in today's specialist markets, such as hotel chains, fashion and breakable goods. Picking individual items and packaging with a variety of others, meeting with your requirements, adds value and gives you, the client, absolute control on what goes where. Bespoke Logistics are proud of their ability to provide a delivery solution tailor made to your requirements from a small carton to a dedicated, time critical express shipment, Bespoke aim to provide a service unparralled by its competition. To undertake dedicated packaging professionally, meeting the requirements and deadlines given, warehousing is of paramount importance.